This contains new photos along with some previously posted. 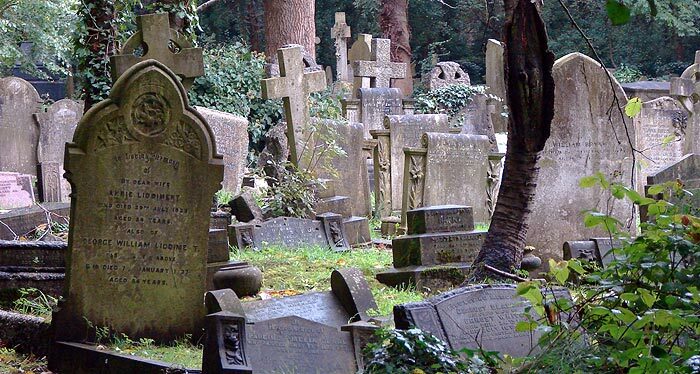 Right before Halloween of 2006, I was privileged to visit London's Highgate Cemetery. 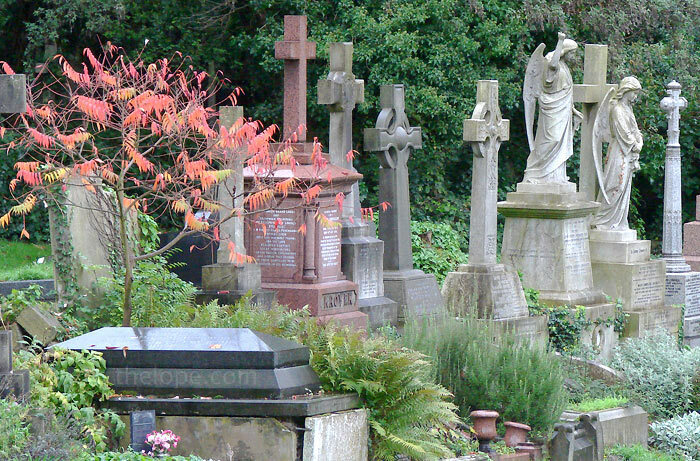 Highgate is...well, every old Victorian Cemetery conjured in the writer's mind or the silver screen all rolled into one. There is much to say about this place, established in 1839. So much in fact that I've never had the time to fully wrap my mind around it and do it justice, though I have utilized a few of the hundreds of photos I shot there to illustrate specific topics. 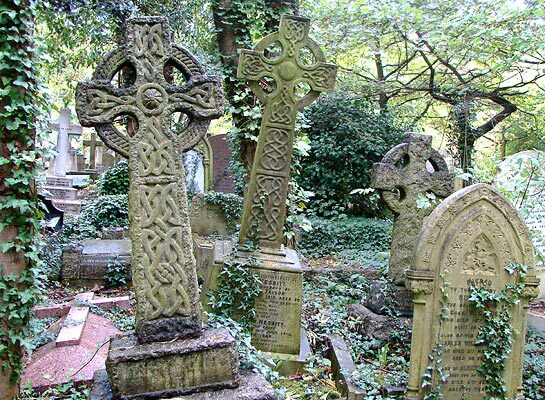 For example, Highgate holds many examples of the Victorian fad of adopting older Celtic Crosses. Read more of this is in 2007's St Patrick's Day Megapost. I waxed dubiously poetic about it last year in Thinning of the Veil. My walk through Highgate got me thinking about the difference between the cross and the crucifix on Good Friday, 2007. 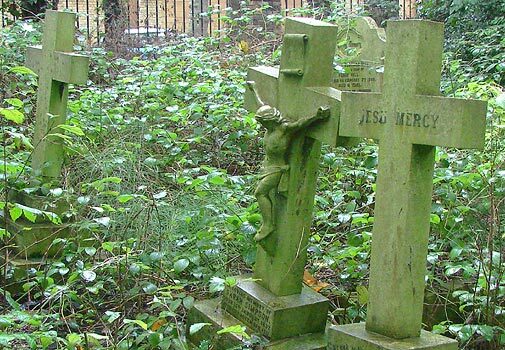 And there was unholiness here too - at least in the mind of Bram Stoker who quite likely based the cemetery in which Dracula character, Lucy Westenra was exhumed on Highgate. I couldn't resist treating that in my own way in 2006's Dracula's London. 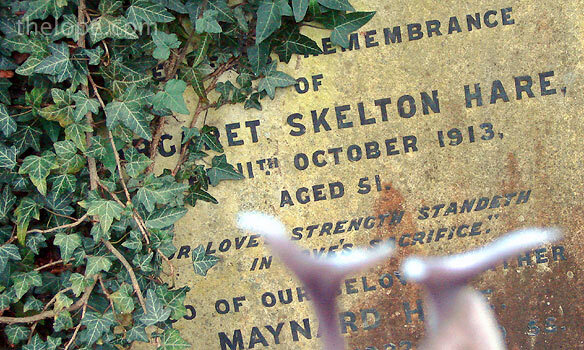 Stoker may well have been influenced by the real-life nocturnal exhumation in Highgate of artist's muse Elizabeth Siddal by her widower, Pre-Raphaelite painter Dante Gabriel Rossetti - all to retrieve poems buried with her. Apparently, Rossetti planned to find greater immortality as a writer and thought Elizabeth's seven-year rest worth disturbing. 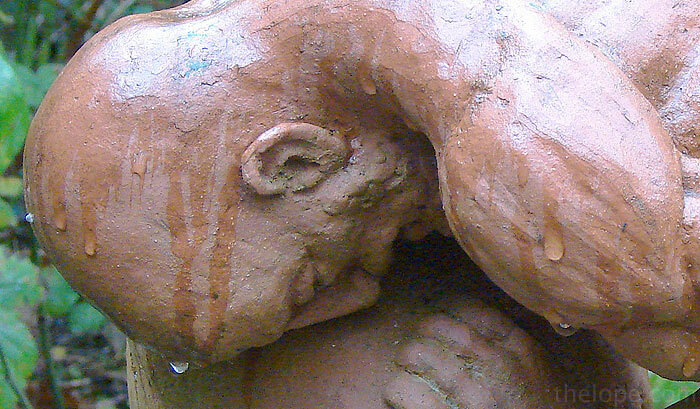 If you want a story of real vampires at Highgate, I'm afraid you'll be disappointed, but there is the true story of the "Highgate Vampire" a non-existent being about which the supposition of reality causes several to create quite a stir. Though some plots were spacious and claimed real estate even in their demise, others could not avoid the crowding of Victorian London, even in death. 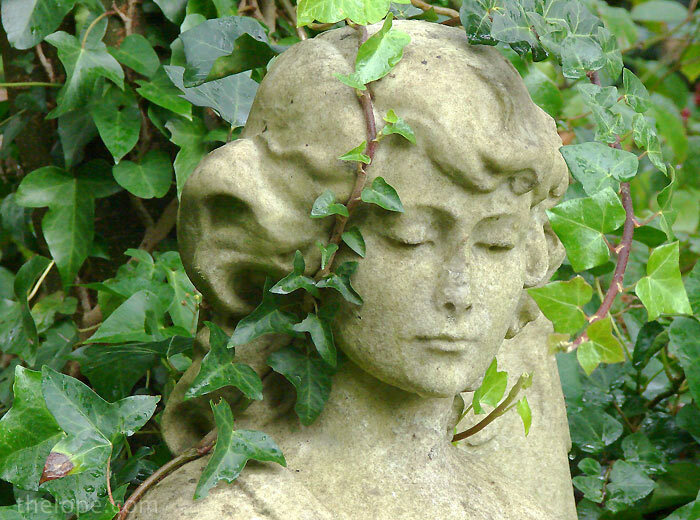 Art is well represented in Highgate, and there are surprises. 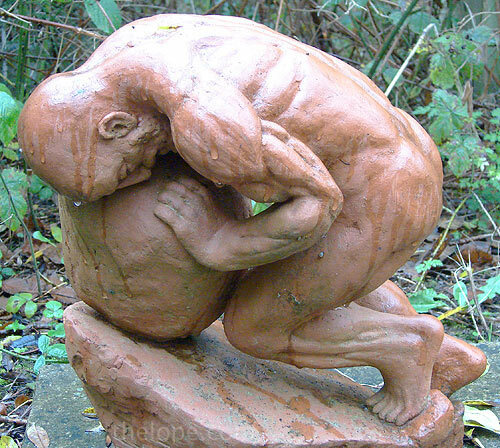 For example, this is the grave marker of John Charles Gage (1910-1993). Ace contemplates mortality and the phonetic qualities of someone whose name included "Skelton" and "Hare."